We learn a valuable lesson in our early years: Look both ways before crossing the street. You must watch the world around you and learn about it before participating in it; simply put, think before you act. It’s hard to be a passive observer, but sometimes you have to take one step back before you can take two steps forward. In “An Infinite Void,” The Bourgeois juxtapose the numbness of inactivity with the restlessness of bystandership, crafting a dynamic dreamlike mix of engaged disengagement. 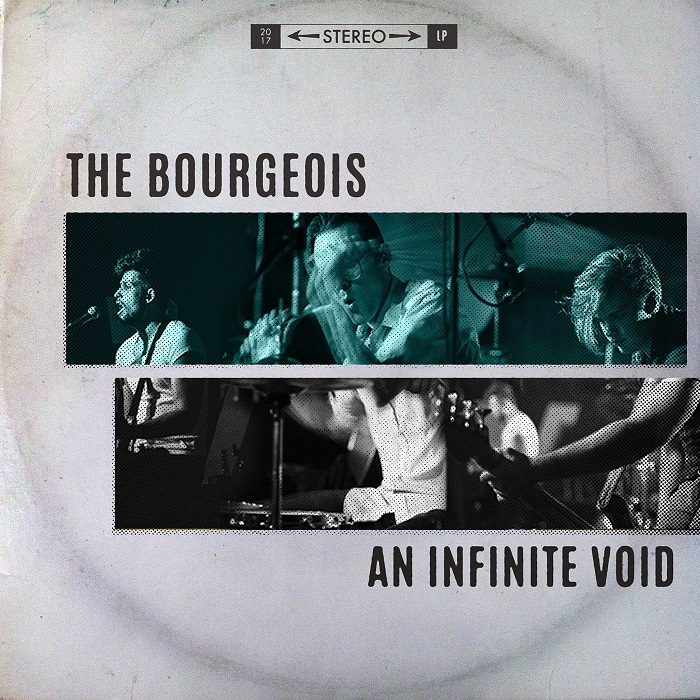 Atwood Magazine is proud to be premiering “An Infinite Void,” the latest single from Tulsa, Oklahoma-based alternative rock band The Bourgeois. 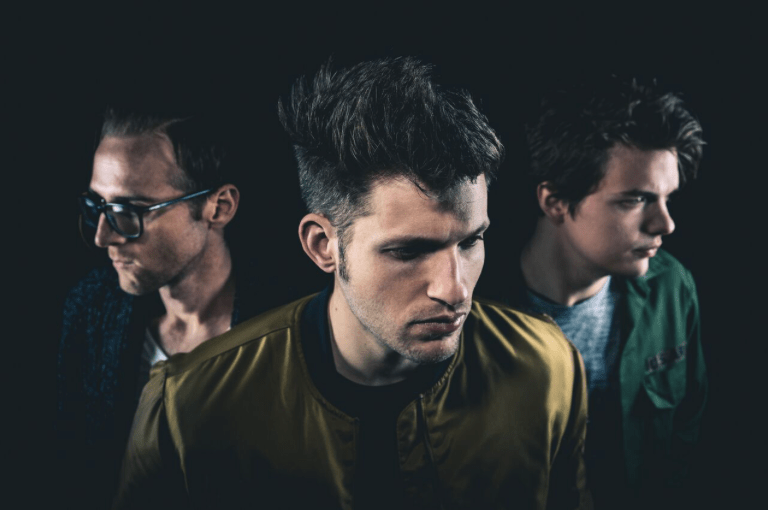 It takes a special mix of warmth and cool to intertwine natural opposites, yet the young three-piece pull off the turbulent ethos with unparalleled grace. Zach Mobley’s grungy, effected guitar tones complement his highs and lows perfectly, extending the darkness that helps his voice shine. “‘An Infinite Void’ is about me coming to grips with the fact that I have literally no idea what I’m doing and probably never will,” the frontman states. His singing moves between a list of various dark descriptions in the verse, to a declarative question in the chorus: Have you ever had that dream where everything seemed to make sense? Yes; yes we have. If ever there were a time to throw one’s hands up in utter incredulity, it is now. The world does feel a bit like a dream these days: We read or watch so many things happening, whether to folks in our country or thousands of miles away, and what do we feel? We are disconnected from the world; disconnected from our fellow humans, desensitized to pain as long as it’s a television screen away. For The Bourgeois, “An Infinite Void” is kind of like the “calm before the storm.” “The events of the last few months have left us disgusted,” remarks Mobley. “I haven’t completely ruled out moving to Scandanavia and starting a death metal band at this point.” The Democrats’ loss of the US Presidential election left many stunned, wondering how it may be that someone so vile and vulgar, a bigot with such utter disrespect for human rights and such obvious apathy for anyone other than himself, could ascend to the nation’s highest position. Such close-mindedness drives one to wonder when the world started spinning off its axis, and indeed one can intimately feel that dizzying effect in The Bourgeois’ sound. Politics aside, we have all felt drowned at some point, dazed by the burden of some-odd stress, left disoriented and out of sorts for a time. The Beatles captured that out-of-body feeling fifty years ago on their songs “Blue Jay Way” and “Flying,” and The Bourgeois continue down that road of psychedelic reverie, where the real feels ethereal and you’re in, but you’re out, on “An Infinite Void.” Their song makes the listener feel light as a feather – like you could just fly away – but chained to the ground at the same time. Look both ways before crossing the street. The Bourgeois are dazed, but not confused; they know that knowledge is power. Absorbing one’s environment can be key to successfully engaging, or getting across the street safely. Following 2016’s hard-hitting Designer Genes EP, “An Infinite Void” presents a tranquilly volatile, self-aware and disenchanted side to Tulsa’s The Bourgeois. It gives us all an opportunity to escape – if only for a moment – to clear our heads, restore our emotions, and get back to life.